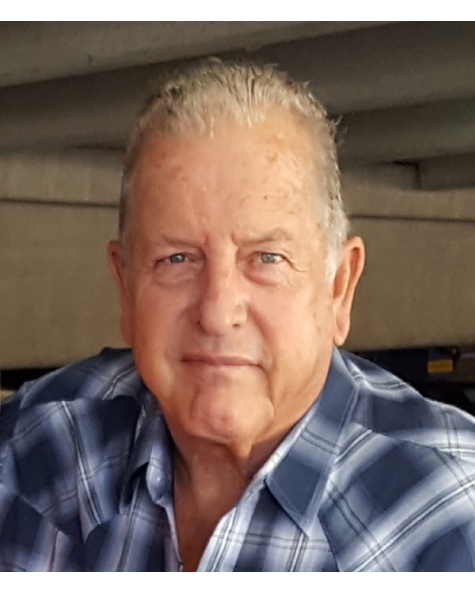 Lewis Hardy passed away suddenly on Thursday November 1, 2018 at home in Raymond. Lew was born in Woodland to Glenn and Carol Hardy, raised in Aromas attending Watsonville High School and Hartnell College in Salinas. He was a Sergeant in the Marine Corp, serving as an Air Traffic Controller Tower Chief. After discharge he attended California State University Fresno majoring in Ag Science. Lew realized his dream of raising cattle starting his herd in 1980. At the same time he started an owner/operator trucking business then went to the Teamsters Union, retiring from Granite Construction this April. Lew is survived by his wife Deborah of 49 years, daughter Andrea, 3 sons Curt, Jack, and Matt, and 3 grandchildren, Bode, Peyton and Haley. He is also survived by his mother Carol and two brothers, Jeff and Brian and their families. Lew was passionate about helping people to understand the true and only path to heaven is through Jesus Christ. We will all miss him tremendously.